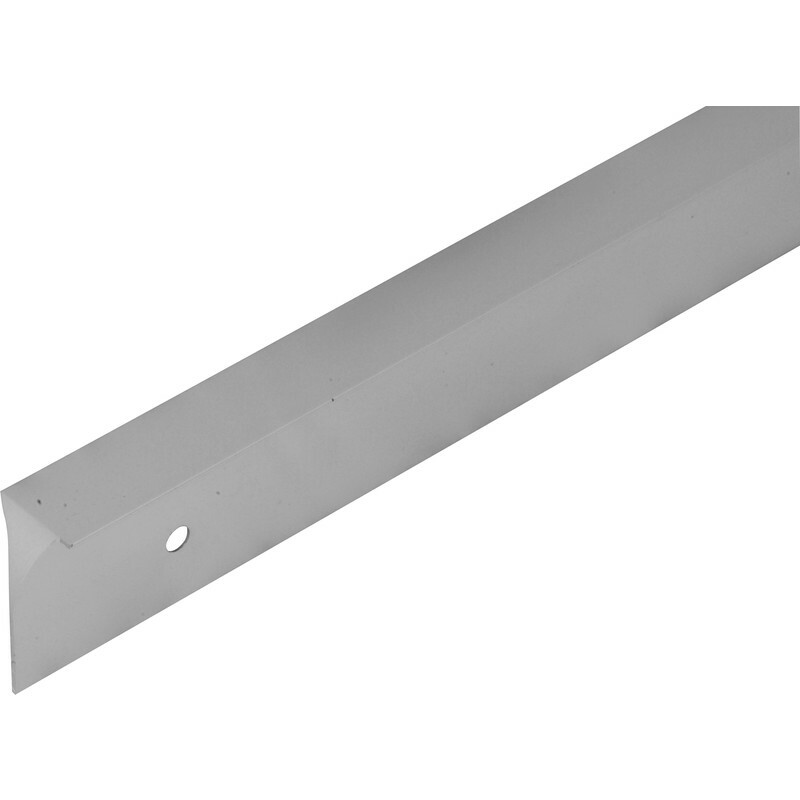 Aluminium Worktop Strip End Cap 40mm is rated 4.7 out of 5 by 16. Rated 3 out of 5 by JackH from Cheap but very thin! When I arrived to collect it the product wasn't actually in stock so my purchase price was refunded and it was delivered to me instead. The aluminium strip was bent on arrival but, as it was so thin, was easily straightened. It did the job intended and was simple to trim and fit. Rated 5 out of 5 by Des 1 from Good value Bought to cover damaged worktop ends. Very good finish, easy to fit and look good. Rated 4 out of 5 by posi from good value these are shapes for rounded edge worktops but are extra long so they can be cut and filed to suit square edge worktops. Rated 4 out of 5 by posi from good value but Do not buy for square edge worktops. These are profiled for the rounded top and so will leave a gap at the front edge and look wrong. Rated 5 out of 5 by Greendragon from Great price for standard metal end As well as a standard end I adapted two of these to surround a freestanding cooker and protect the work surface.